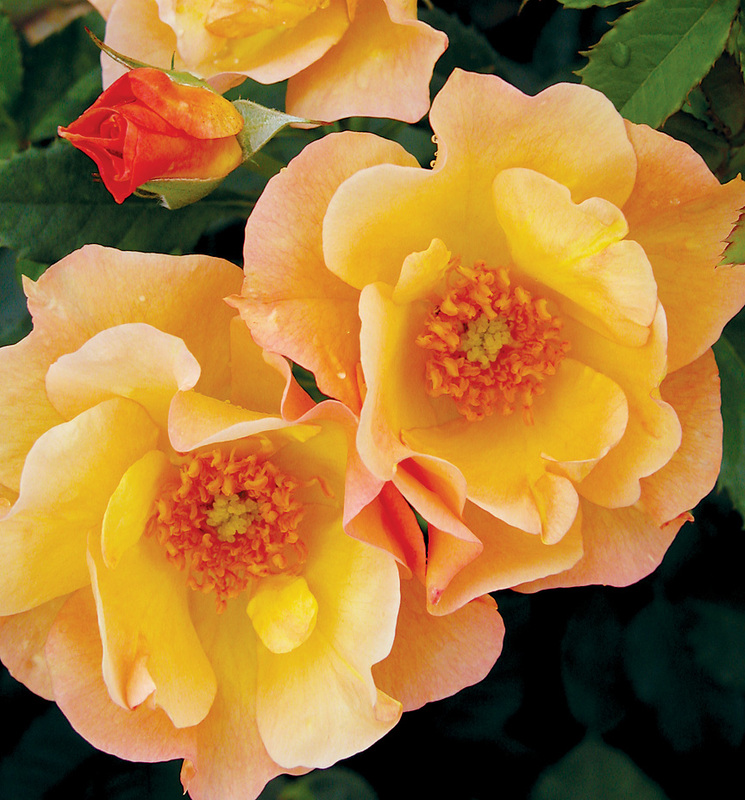 Rosa ‘Morden Sunrise’ | J.C. Bakker & Sons Ltd. The first yellow-flowering Parkland Rose. Yellow-orange buds open to semi-double wavy blooms with orange stamens. Dark foliage with improved resistance to blackspot. SKU: 87415300. Categories: Parkland Series, Roses. Tags: Morden Sunrise, parkland, Rosa.